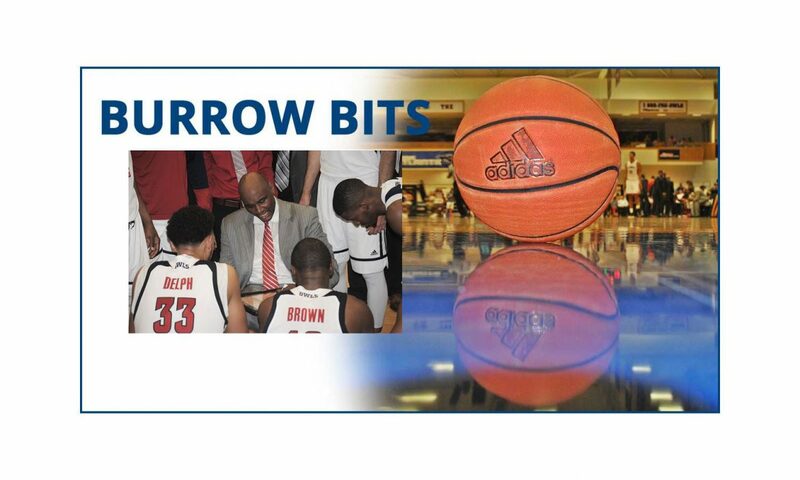 BOCA RATON – The Florida Atlantic basketball team sits in the middle of the Conference USA standings despite owning one of the worst offenses in the conference. Don’t expect the Owls to pick up the scoring pace any time soon. “We play a lot of possession basketball, it’s the make-up of our time,” FAU coach Michael Curry said. At 4-5, the Owls are in a four-way tie for seventh in C-USA play. The 61.9 points the Owls average against C-USA opponents is dead last in conference play. Nationally, FAU’s 69.3 points per game is tied for No. 282. The low point totals are partly by design. FAU looks to get the ball to center Ronald Delph in the post on most every possession, which takes time. But even when the Owls get the looks they want, they aren’t a particularly good shooting team. For the season, FAU is only shooting 41.2 percent. In conference games, that percentage dips to 38.1 – worst in Conference USA. The Owls’ strong defensive play also limits their own scoring. 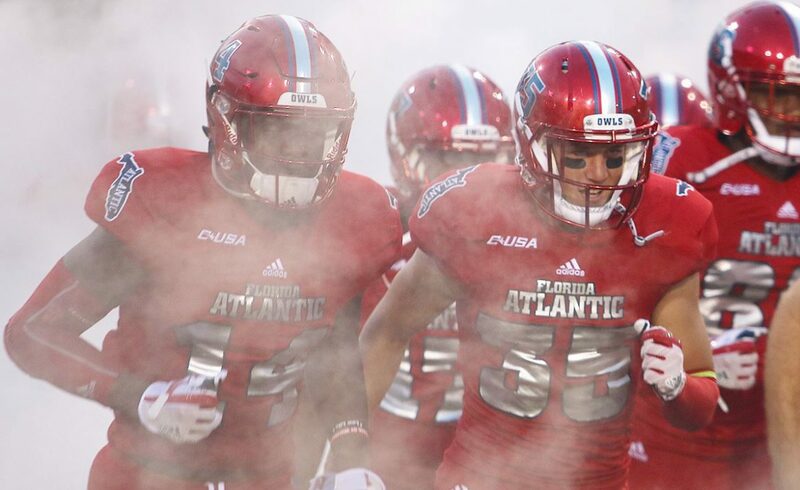 FAU holds C-USA opponents to an average of 65.2 points – second best in the conference – forcing teams to work for their points, thereby eating clock and limiting offensive possession for both teams. “We make it difficult for teams to score,” Curry said. The magic number for FAU appears to be 70 points. FAU has yet to lose a C-USA game in which it scored at least that many points. The Owls have only won once all season when scoring fewer than 70 points, that victory coming on Saturday at Rice. Conference USA named FAU center, Ronald Delph its Player Of The Week, making him the first Owl in four years to claim the honor. In last week’s games, Delph scored 41 points and had 15 rebounds. Delph leads the Owls in scoring, rebounds and minutes. “When he’s over 30 [minutes] and our turnovers are low, and we rebound equal or better, we like our chances of winning,” Curry said. The Owls perfectly executed a designed play to defeat Rice on Saturday. After Payton Hulsey took the inbound pass he could have looked to either Gerarius Troutman on the left wing or Justin Massey on the right. Payton dribbled to near mid-court before passing to Massey, who caught and shot all in one motioning, launching the game-winning three-pointer before time expired. “If you can throw it diagonal, normally you can find an open guy diagonal,” Curry said. Curry believes his Owls continue to gain confidence and that they are becoming more comfortable late in tight games. “If you lose your confidence after a couple of losses, this isn’t the game for you,” Curry said. Around The Conference: FAU took the spotlight this past week in Conference USA, with Massey’s game-winning shot landing in ESPN’s SportsCenter Top 10 plays of the day. Middle Tennessee defeated UTSA and UTEP over the weekend and remains atop the C-USA standings with an 8-1 record. Working Women: Scoring hasn’t been a problem for FAU’s women’s basketball team. The Lady Owls scored a season-high 99 points in a victory at UTSA. FAU had three 20 point scorers in the win, with Ra’Kyra Gabriel leading the team with 27 points. Gabriel followed that game with 24 points in a 90-57 loss at UAB. Game Of The Week: Curry and the Owls face Louisiana Tech Thursday at The Burrow. LA Tech has been one of the best teams in the conference the past few years, but are struggling this year and enter Thursday’s game tied with FAU in conference play. With this being the lone match-up of the two teams this season, the winner would have an edge if the two teams have the same record at the end of the season. Tip-off is at 7 p.m.
BOCA RATON – FAU is poised to fill a position of need even before the arrival of Feb. 7th’s National Signing Day. Former Tulane center Junior Diaz says he will transfer to FAU as a graduate student and intends to sign the necessary administrative paperwork before the end of the week. “I just felt that was the best opportunity for me,” Diaz said. Diaz became a starter at Tulane as a redshirt freshman and held the role for his final two seasons. FAU lost center Antonyo Woods, an All-Conference USA performer, to graduation. Entering the spring reserve Richard Williams is the lone player on the Owls’ roster with game experience at center. Diaz played his high school football at Miami-Central, where he snapped on an offensive line that included current FAU tackle Reggie Bain, who served as Diaz’ host during this past weekend’s visit. Vanderbilt and Texas-San Antonio were among the schools pursuing Diaz since he announced his intention to transfer a couple of weeks ago. Although he’s from South Florida, his official visit marked Diaz’ first trip to Boca Raton. “I’m from Miami, I didn’t really know that Boca was that nice,” Diaz said. By transferring as a graduate student, the 6-foot-2, 300-pound Diaz is eligible to play immediately. Arizona Western CC center Zack Bennett has also pledged his services to FAU and plans to sign on Feb. 7. Should Lane Kiffin and the Owls want to use both Bennett and Diaz, it’s possible that one could move to guard, replacing either the graduated Jakobi Smith or Roman Fernandez. FAU is likely to announce Diaz as a member of its 2018 football recruiting class on Feb. 7. BOCA RATON – By the time he arrived in South Florida, quarterback Cordel Littlejohn had pretty much made up his mind that he wanted to play for FAU. Less than a day into his official visit this past weekend, Littlejohn became certain. Littlejohn loved the campus. He found the city of Boca Raton beautiful. Even a gusty wind couldn’t sour him on the weather. What he liked most, however, was talking football with his soon to be offensive coordinator, Charlie Weis Jr.
Lane Kiffin made a national splash two weeks ago when he hired Weis, 24, to be the youngest offensive coordinator at the FBS level. Littlejohn is one of the first to learn exactly what kind of offense Weis plans to run. Though Weis isn’t a disciple of the Baylor offense former coordinator Kendal Briles ran last season, he and Kiffin intend to keep its most recognizable principle: speed. “It’s really fast, but it’s simple,” Littlejohn said. The offense will also have elements of Alabama’s 2016 offense, which Kiffin coordinated with the help of Weis, then an offensive analyst. Ideally, Littlejohn said, the offense will be balanced between runs and passes, and will take advantage of FAU’s talented running backs with more screen passes. “He thinks I would really fit well with his offense,” Littlejohn said of Weis. A true dual threat quarterback, Littlejohn threw for nearly 3,700 yards and a whopping 50 touchdowns as a junior at Lincolnton (N. C.) High School. His statistics dipped drastically during his senior season at Roswell (Ga.) when a new coach converted to a primarily ground based offense. Littlejohn, 6-foot-4, 190 pounds, originally committed to Illinois, but he and the coaching staff experienced a falling out. With less than 10 days remaining until National Signing Day, Littlejohn is shutting down the recruiting process and will not take any more official visits. “I really like that the program is going up and it’s only going to get better from here,” he said. BOCA RATON – FAU has its quarterback of the future. Roswell (Ga.) signal caller Cordel Littlejohn announced his commitment to the Owls via Twitter on Sunday. A former Illinois commit, Littlejohn is still on his official visit to FAU. He’ll leave on Monday morning. FAU offensive coordinator Charlie Weis visited Littlejohn at home in the days leading up to Littlejohn’s trip to South Florida. “Coach Weis was telling me I have a chance to come in and compete for the starter’s job,” Littlejohn said. What looked to be a crowded quarterback field heading into fall camp became shallower with the transfer of Daniel Parr, who started the first three games of 2017, and the announced retirement from college football of Jason Driskel, starter for the final 11 games. FAU is expected to only sign one quarterback as part of its 2018 recruiting class. Standing 6-foot-4 and weighing 190 pounds, Littlejohn threw for 1,096 yards and seven touchdowns as a senior. Oklahoma transfer Chris Robison transferred to FAU during fall camp and piloted the Owls’ scout team in 2017. Though he’s been at Florida Atlantic for several months, he’ll likely be announced as part of FAU’s 2018 recruiting class. Robison and De’Andre Johnson, who missed nearly all of 2017 after undergoing surgery to remove blood clots in his arm, are expected to battle in spring for the starting quarterback job. Littlejohn becomes the 14th high school or junior college recruit to pledge to play for FAU. Five of those players signed in December. Justin Massey’s three-pointer as time expired gave FAU an improbable 63-62 victory over Rice on Saturday in Houston. Trailing by two with 3 seconds remaining and needing to go the length of the court, FAU inbounded the ball to Payton Hulsey, who advanced it to near mid-court before spotting Massey on the right side. Massey caught Hulsey’s pass and, all in one motion, launched a contested 30-footer that sailed through the net without touching the rim. Teammates raced off the bench to mob Massey in the corner of the gym. FAU needed Massey’s heroics because seconds prior Rice’s Connor Cashaw drained a pull-up jumper from the foul line over Hulsey. FAU center Ronald Delph led all scorers with 20 points. Moving Forward: The game-winning shot gave Justin Massey 18 points. Massey, however, only hit four of his 13 field goal attempts prior to that shot. …Gerdarius Troutman had 10 points on 3-of-7 shooting from behind the three-point line. …Starting point guard Payton Hulsey didn’t score – he only took one shot – but he grabbed seven rebounds and doled out five assists – including one on the game-winning shot. …FAU out-rebounded Rice 41-34. Moving Backward: Starters Jailyn Ingram, William Pfister and Hulsey combined to score 11 points. FAU appears to have an excess of role players and not nearly enough scorers. …Hulsey and Anthony Adger combined to score two points in 43 minutes. Opposing defenses simply don’t have to worry about FAU scoring from the point guard spot. Key Stat: 1 – field goal over the final 9:30 made by an FAU player not named Delph prior to Massey hitting the game-winner. With any offensive production at all, the Owls wouldn’t have needed Massey’s heave to win it. Up Next: FAU returns home to face Louisiana Tech on Thursday. Tip-off at The Burrow is scheduled for 7 p.m.
BOCA RATON – FAU is bringing a player who may be its quarterback of the future to campus this weekend for an official visit. Roswell (Georgia) dual threat QB Cordel Littlejohn is eager to see what the Owls’ Boca Raton campus has to offer. A 6-foot-4, 190-pound former Illinois commit, Littlejohn would be the first quarterback to commit to FAU in 2018. The Owls are only expected to sign one signal caller. In a phone conversation earlier this week with FAU coach Lane Kiffin, Littlejohn said the former Alabama offensive coordinator compared him to Alabama quarterback Jalen Hurts, who twice led Alabmama to the National Championship game. Not too long ago quarterback didn’t appear to be a position of need for the Owls. Then Daniel Parr, FAU’s starter for the season’s first three games, elected to transfer. A couple weeks later Jason Driskel, starter of the final 11 games, announced he would forego his final year of eligibility to graduate in May with an engineering degree. Littlejohn does not have any other official visits scheduled, although he says New Mexico recently offered. Joining Littlejohn for this weekend’s visit is a player quite familiar to Kiffin. Hutchinson CC running back B.J. Emmons is expected to make the trip to see his former offensive coordinator. Kiffin and Emmons were together for one season at Alabama before Kiffin left to become FAU’s head coach and Emmons transferred to Hutchinson. Emmons averaged 4.6 yards per carry and scored 10 touchdowns in 12 games for Hutchinson. He also fumbled the ball seven times, losing four of them. The year prior Emmons averaged 4.9 yards on 35 carries for the Crimson Tide before a foot injury ended his season. College of the Canyons offensive lineman Carlton Lorenz is also expected to be part of the group converging on South Florida. The Owls lost three starting seniors, two of which were All-Conference USA performers, off least season’s offensive line. Thompson (Alabama) linebacker Jalen Rayam is also expected to visit. UConn, Louisiana-Lafayette and UAB are also reportedly pursuing Rayam. FAU currently has 13 high school or junior college players committed to its 2018 football recruiting class, five of whom signed in December. More news about official visitors will be added as it becomes available. BOCA RATON – As raw as Longwood-Lyman defensive end Deon Woods is on the football field, he may have the biggest upside of any FAU recruit. Woods had been a basketball player and track performer before doing the football team late in his junior year. In his first full season, the defensive end led Lyman with 11.5 sacks and 62 tackles in 11 games. Though new to football, Woods doesn’t take plays off and never feels like he’s out of a play. Thomas raved about Woods’ motor. “That’s what’s probably the mot unique about him,” Thomas said. At 6-foot-5 and 215 pounds, Woods still has a bit of a basketball frame. Thomas, however, is confident that Woods can quickly add muscle with proper strength and conditioning. Woods ran the 400 yard dash and even high jumped in high school. “He’s raw, but he has amazing ability,” Thomas said. Two weekends ago Woods visited Southern Miss. He committed to FAU during an official visit last weekend, Thomas said. Woods becomes the 13th member of FAU’s 2018 football recruiting class. The state of Texas won’t be as kind to FAU this time around. Two weeks after sweeping UTEP and UTSA in the Lone Star State, FAU fell to North Texas 59-53 on Thursday night in Denton. FAU rallied to take a brief lead midway through the second half, but trailed by six entering the final minute. Center Ronald Delph’s put back of an errant Gerdarius Troutman running one-hander trimmed the Mean Green’s lead to 57-53. Delph led all scorers with 21 points. 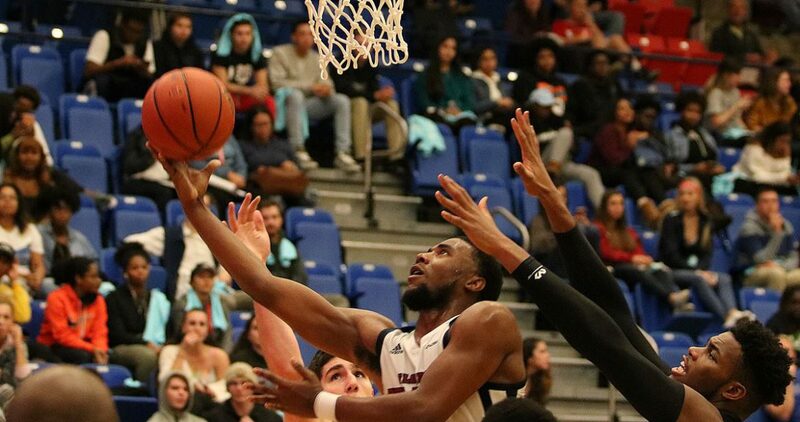 After forcing a turnover the Owls had a chance to cut the lead to one possession, but Anthony Adgers drive ended with the ball failing to clear the front rim. The loss is the Owls second consecutive defeat. Prior to that FAU had won three straight. Moving Forward: Delph added 10 rebounds to go with his 21 points, giving the center his sixth double-double on the season. …Anthony Adger came off the bench to score 14 points. Moving Backward: Guard Justin Massey missed all seven field goal attempts and only scored one point. …Starting forward Jailyn Ingram managed only two points. …William Pfister, the Owls’ other starting forward, failed to score. …FAU made only one of its 11 three-point attempts on the night. Key Stat: 7 – points scored by FAU starters not named Ronald Delph. Up Next: FAU will stay in Texas, busing from Denton to Houston to face Rice. Tip-off on Saturday is scheduled for 3 p.m.
BOCA RATON – It’s no coincidence that FAU elevated its play once point guard Payton Hulsey returned from his ankle injury. Without Hulsey, the Owls are a different basketball team. The defense isn’t as sharp, and they aren’t as successful moving the ball around. Hulsey injured his ankle early against Arkansas St. FAU lost that game, and their next three without Hulsey. Since his return, the Owls are 3-3, with all three losses coming against teams atop Conference USA. “When Payton plays, this is a confident basketball team,” FAU coach Michael Curry said. A reserve prior to the injury, Curry elevated Hulsey to the starting unit for his second game back from injury. “When Payton is out, it changes the whole dynamics of our team,” Curry said. Not a true scorer, Hulsey’s ability to run the Owls’ offense and skill on the defensive end – Curry said he feels comfortable putting Hulsey on guards or forwards – set him apart. While he only averages 6.1 points per game, he also contributes 2.9 assists and 3.8 rebounds per game. Hulsey, 6’5 215 pounds, gives him a size advantage against most guards. With his size and height, he can also cover some of the bigger guys if need be. Curry compared Hulsey to a young Scotty Pippen in the sense that he’s the defensive player that allows Michael Jordan to score. The Owls’ obviously lack a player of Jordan’s caliber. Guards Justin Massey and Gerdarius Troutman average 13.3 and 12.5 points per game respectively. Center Ronald Delph enters tonight’s at North Texas averaging 13.2 points per game. Curry, however, insists it would be easier to find a replacement for all three of those players than it would Hulsey because it’s easier to find a scorer than it is a defensive threat. A senior, Hulsey transferred from College of Charleston before the start of the season for his final year of basketball. Hulsey was Colonial Athletic Association All-Defensive Team performer at Charleston, before he became the force not to be reckoned with at FAU. The secret for the Owls’ success in the second half of the season is simple. “Keep Payton Hulsey healthy,” Curry said. 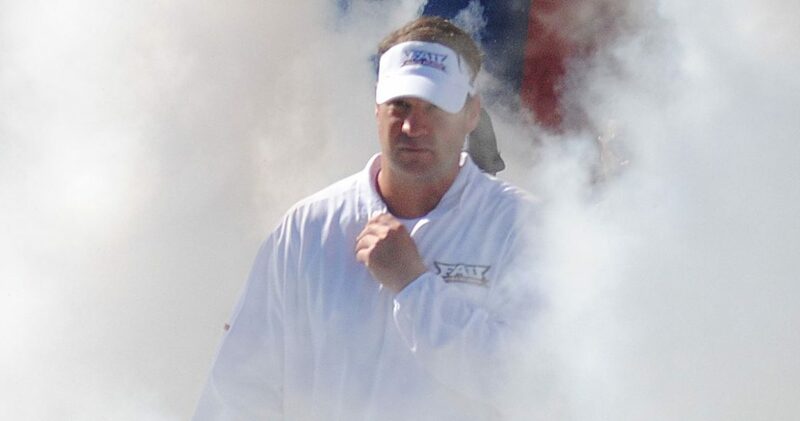 BOCA RATON – FAU added two more players to its commitment list over the past 24 hours. Fort White offensive lineman Doug Johnson and Kissimmee-Osceola running back Malcolm Davidson pledged their services to the Owls, announcing their commitments via Twitter. Johnson’s commitment in particular helps fill a major need for the Owls. Standing 6-foot-6 and 325 pounds, Johnson could immediately help the Owls replace the three starting linemen they lost to graduation. “He’s a dominant offensive tackle,” Fort White coach Demetric Jackson said. Johnson is a four year starter at tackle. He visited FAU this past weekend, one week after visiting Southern Miss. He canceled this week’s visit to Mississippi St.
Davidson rushed for more than 2,500 yards 26 touchdowns in his sophomore and junior seasons combined. A cracked rib limited his senior season to 555 yards on 64 carries, but he still found the end zone 12 times. Nichols primarily used Davidson as an outside runner but said the 5-foot-10, 190-pound speedster isn’t afraid to run between the tackles. Davidson is the first running back to commit to FAU’s 2018 recruiting class. He previously visited East Carolina, and was considering UCF and Kentucky. 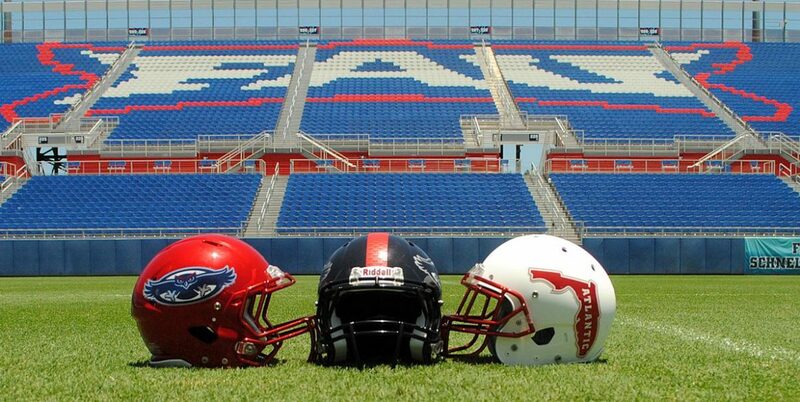 Davidson visited FAU this past weekend.